WE WANT TO BUY YOUR CAR! PAID FOR OR NOT! Selling your car can be overwhelming and time consuming. That’s why we created a quick and easy way to sell your car at Mossy Automotive Group. 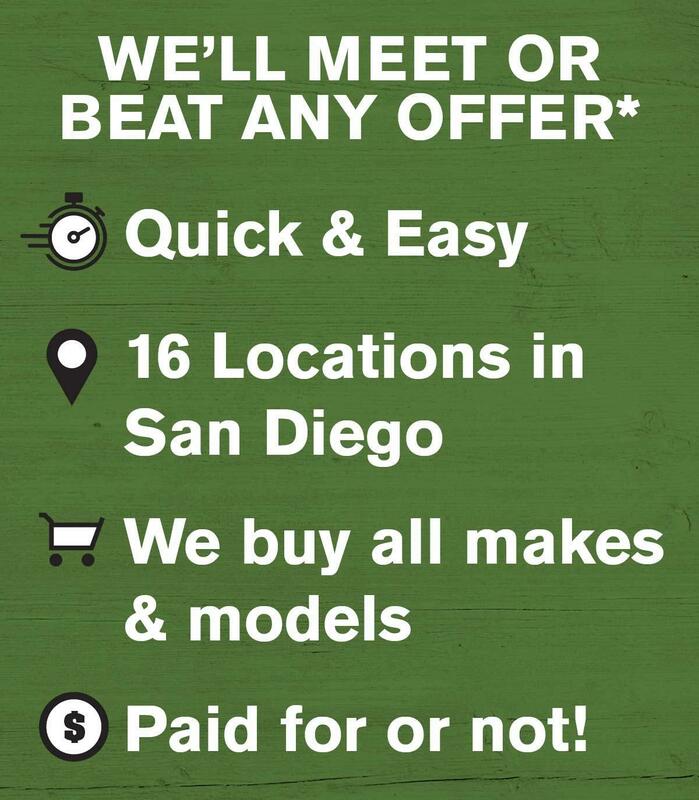 Yes, we want to buy your car at any of our 16 locations in San Diego County. We buy ALL makes and models, even if your car is paid for or not! The process is EASY FAST! 15 MINUTES or Less! Yep. It only takes 15 minutes to appraise your car if you make an appointment online! No strings attached. And we’ll buy your car even if you do not buy from us. Thank you for scheduling your appraisal! *Bring us a written vehicle appraisal from a licensed California auto dealer in San Diego County, within 30 days of issue date. Not valid on trade-in, private party or wholesale appraisals. Ends 6/30/19. · What do I need to sell or trade in my car? Bring your car title, valid registration, a valid ID and all keys and remotes. · Can I sell my car to Mossy even I don’t buy a car from you? Yes! Our buying program is no strings attached. We’ll buy your car even if you do not buy from us. · What is your appraisal process? Our trained and experience appraisers will examine your car’s condition, Inside and out, vehicle history, test drive the car, and review current market values for your car’s year, make, model and mileage. If any repairs are needed, the offer will be adjusted accordingly. · What if I haven’t paid off my car? *Any negative equity may be applied to new amount financed or pay off amount. On approved above average credit.